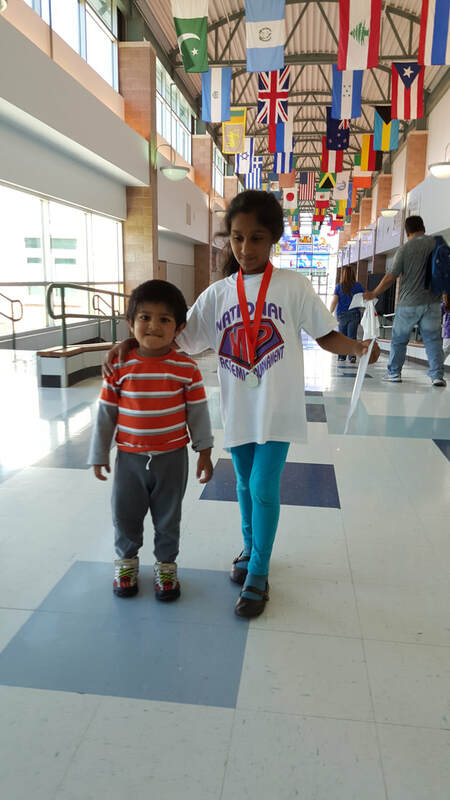 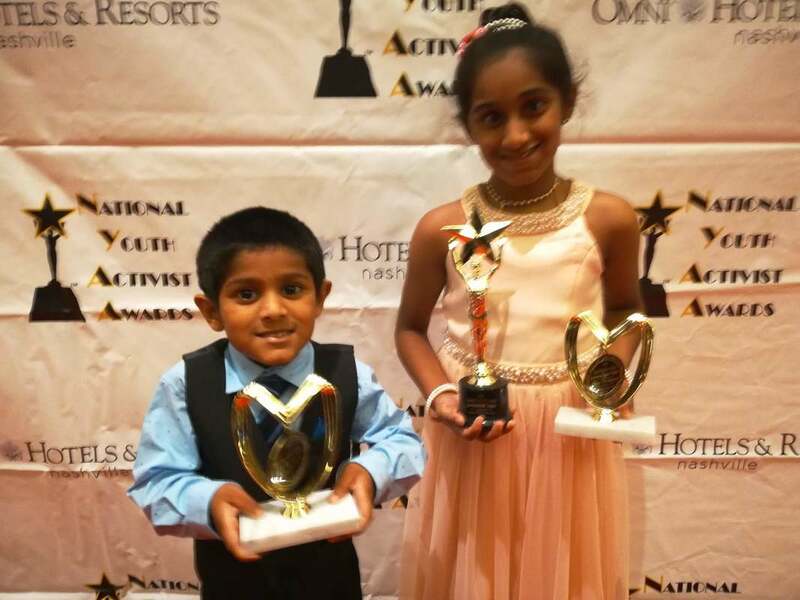 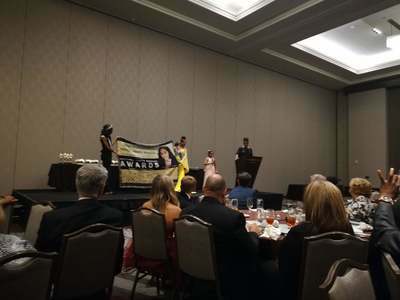 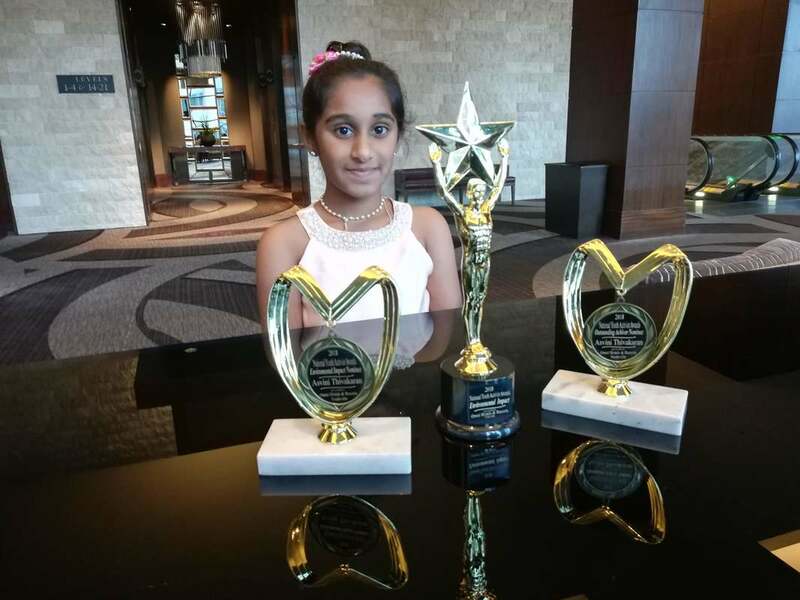 ​Asvini Thivakaran (age 9) successfully implemented battery recycling activity in the City of Round Rock, Texas. 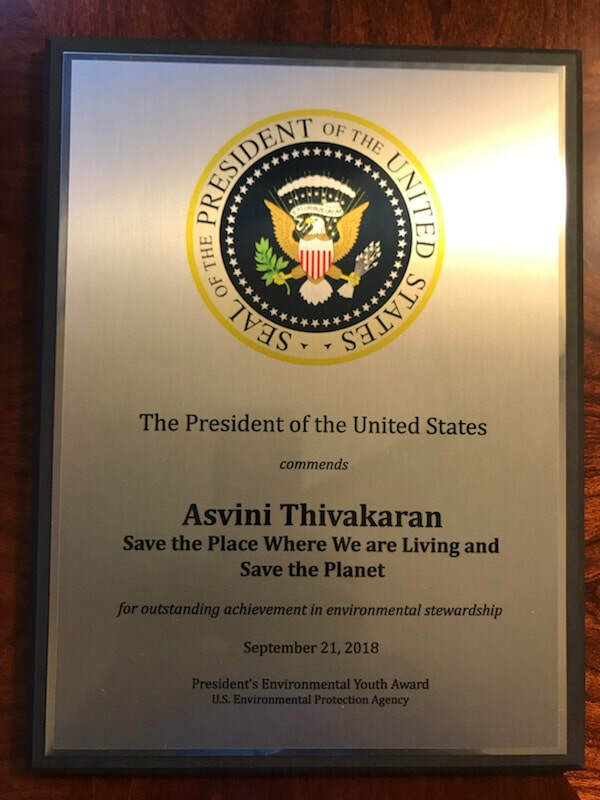 Tirelessly raising awareness about battery recycling, Asvini demonstrated determination to save not only the place where we are living but also the planet. A fourth-grader at Brushy Creek Elementary School in Round Rock, Asvini initiated battery recycling first at her home (on January 2017), then expanded her efforts to include her school (in 2nd Grade) and then community, diverted many batteries away from landfills. 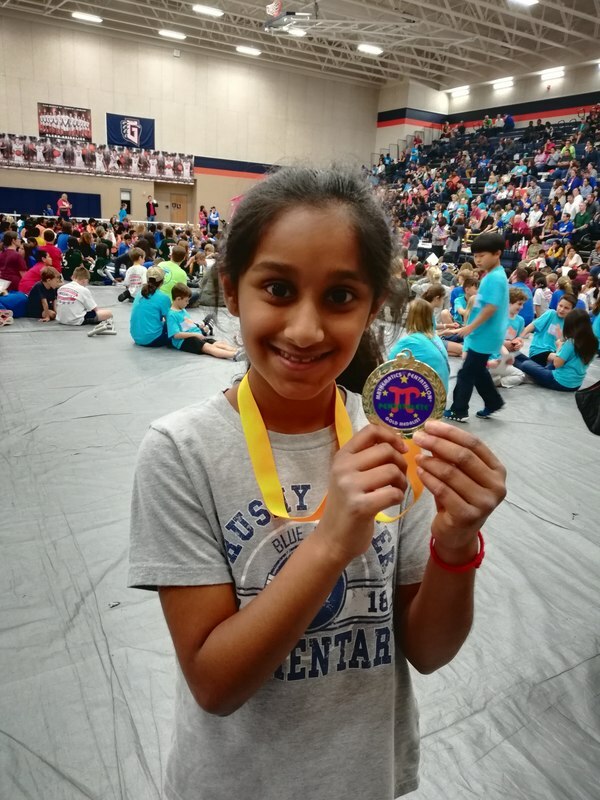 She partnered with the Round Rock Public Library (on March 2017), placing a battery recycling bin at the library entrance; additionally, she provided bins in other locations, such as Wells Branch Recreation Center and Wells Branch Community Library. 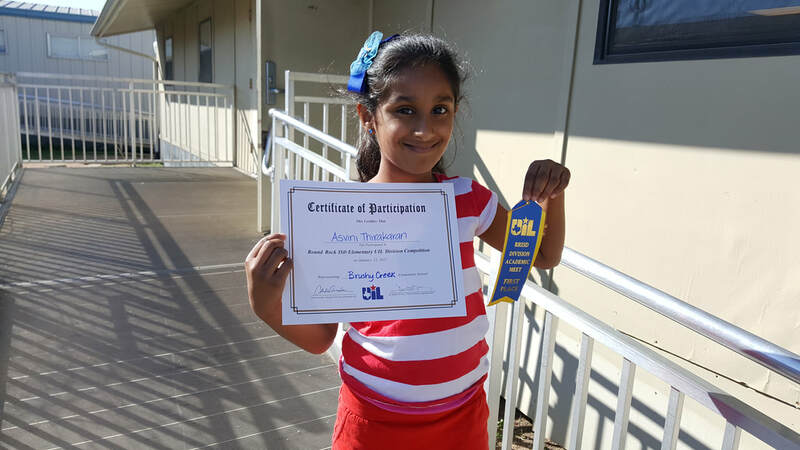 To raise the community’s awareness of the importance of safe disposal of batteries, Asvini gave presentations at Round Rock Public Library on Earth Day 2017, at Learning Tree Day School on Environmental Day 2017, Keep Texas Beautiful 51st Annual Conference in 2018, International Eco-Hero conference in 2018 and appeared on Blue Jay TV at Brushy Creek Elementary School. 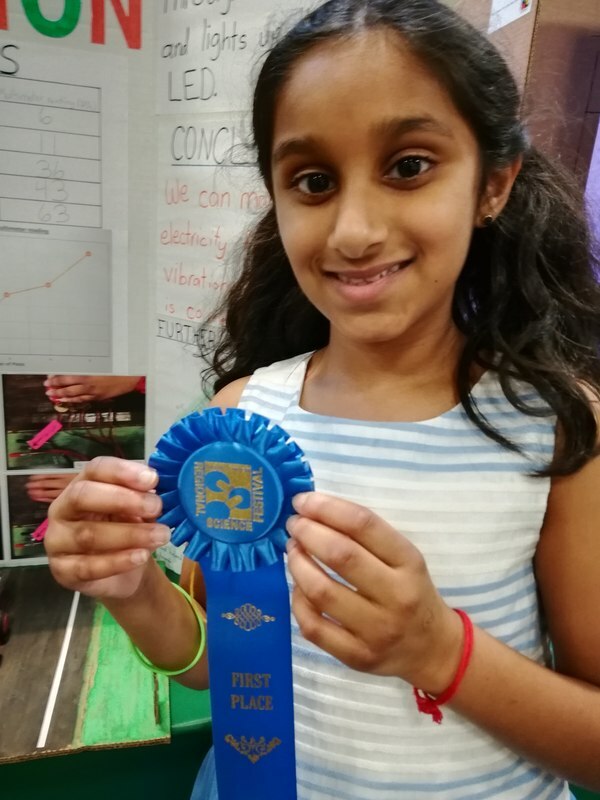 She created a video about battery recycling and shared with the community through social media. 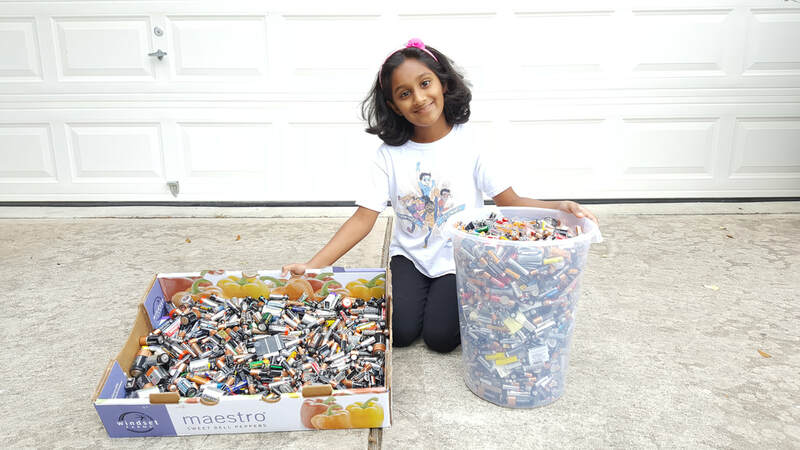 KVUE (April 26th 2017) and KXAN (September 5th 2018) TVs in Austin covered her battery recycling activity on morning and evening news. 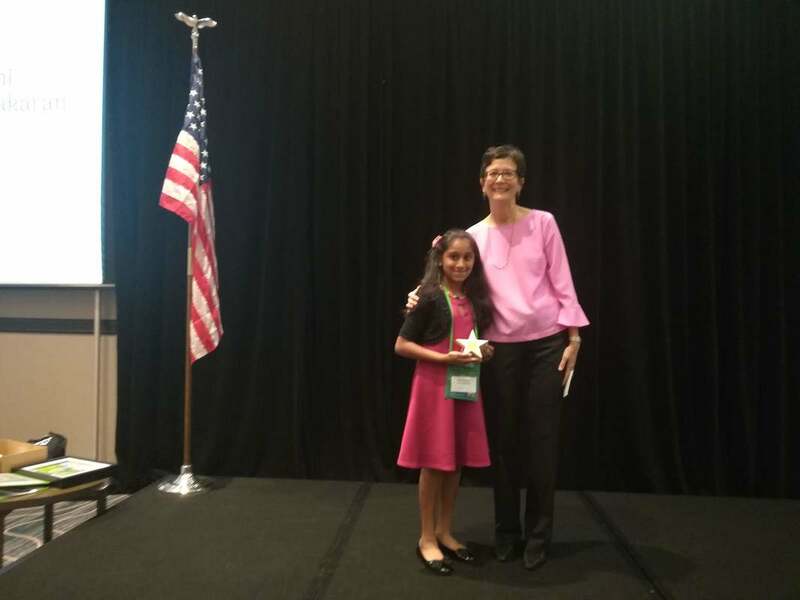 Asvini met the City of Round Rock Mayor and Utility Director and shared her achievement, requested the City to initiate battery recycling. 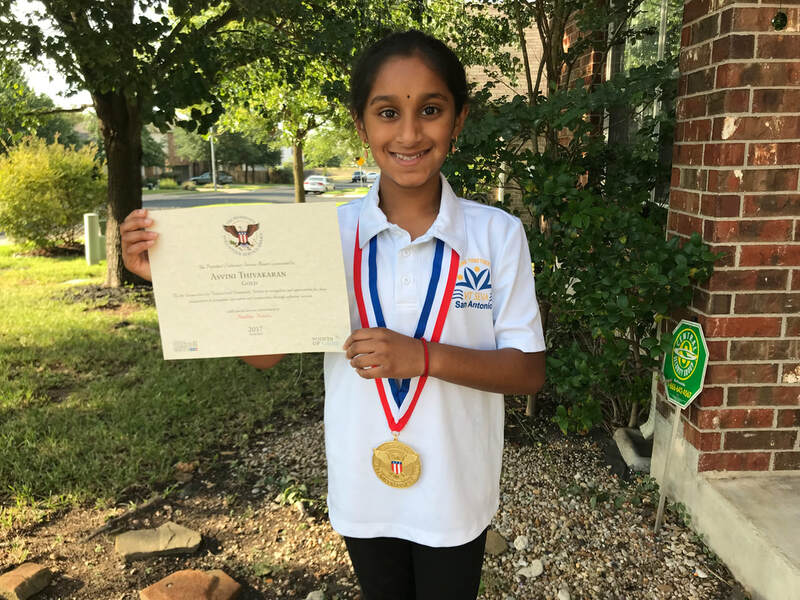 She gave a presentation in the City Council Meeting on Oct 2017 and got recognized by the Round Rock Mayor Craig Morgan. 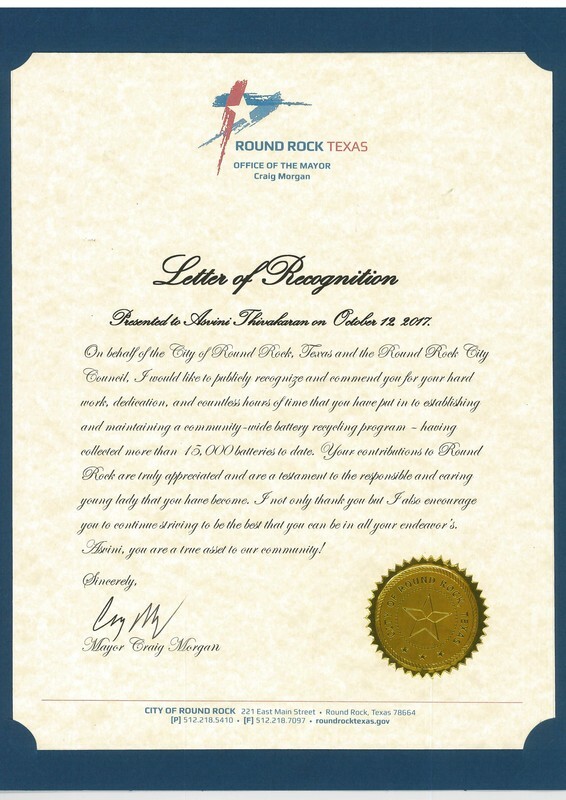 The success of her battery recycling activity is the City of Round Rock started taking care of her bin at the Round Rock library after her two-year dedication. 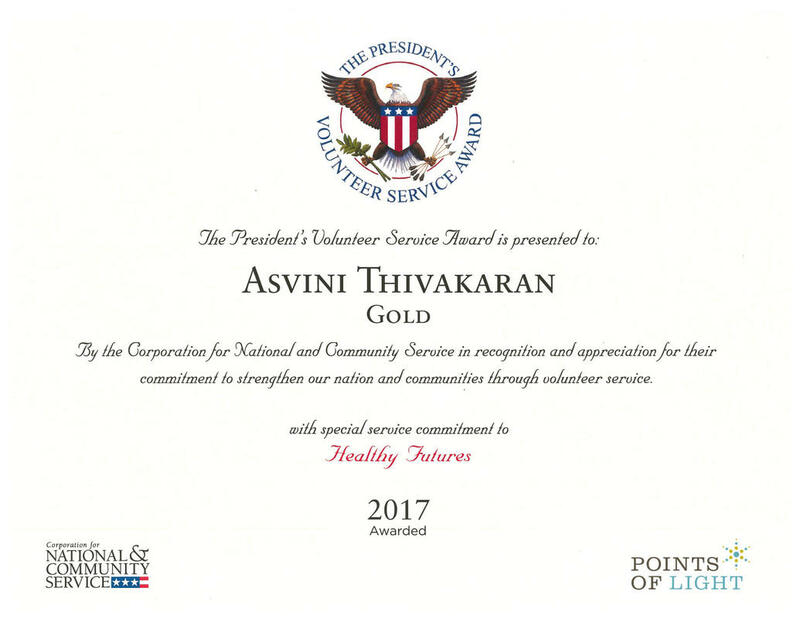 The battery project is only partial evidence of Asvini’s commitment to the environment and to her community. 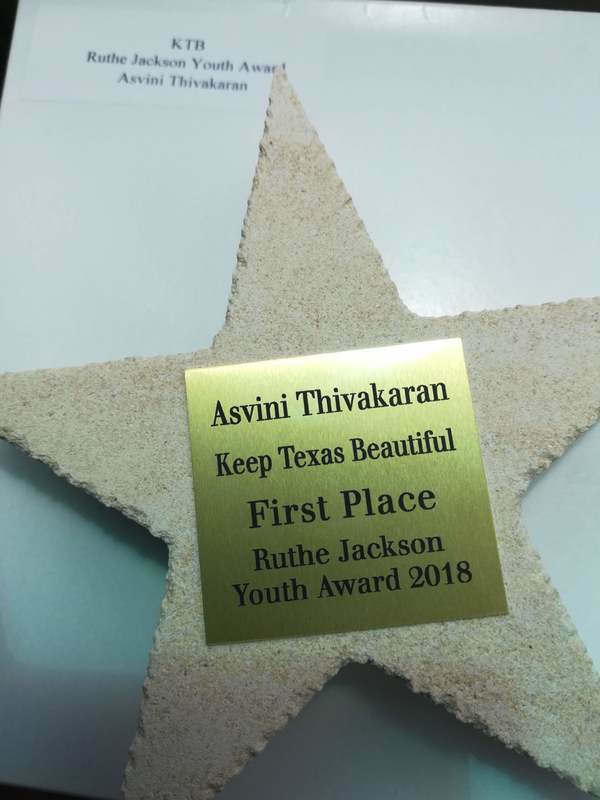 Asvini has contributed more than 75 hours of volunteer work in 2017 including tree planting, tree giveaway, park & lake cleanups and trail system improvements. 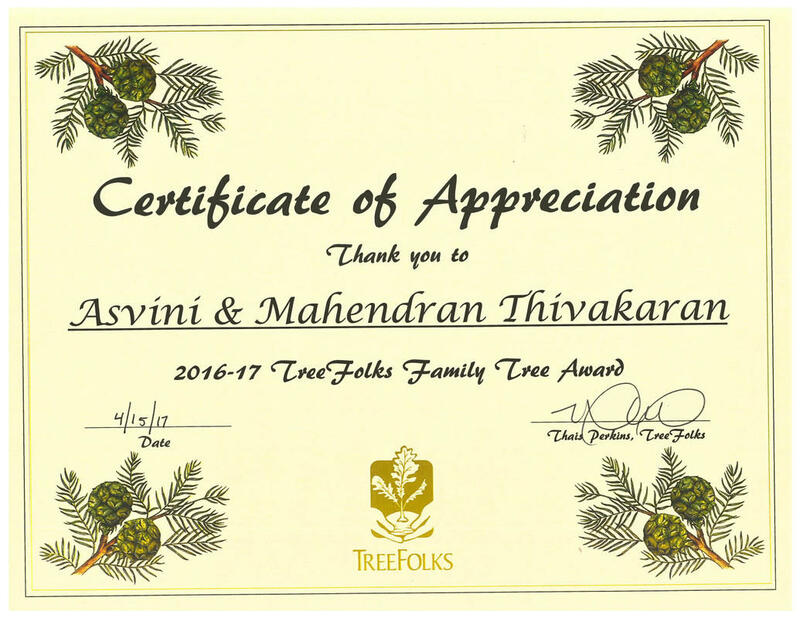 She did several tree planting activities with TreeFolks and received Family Tree Award. 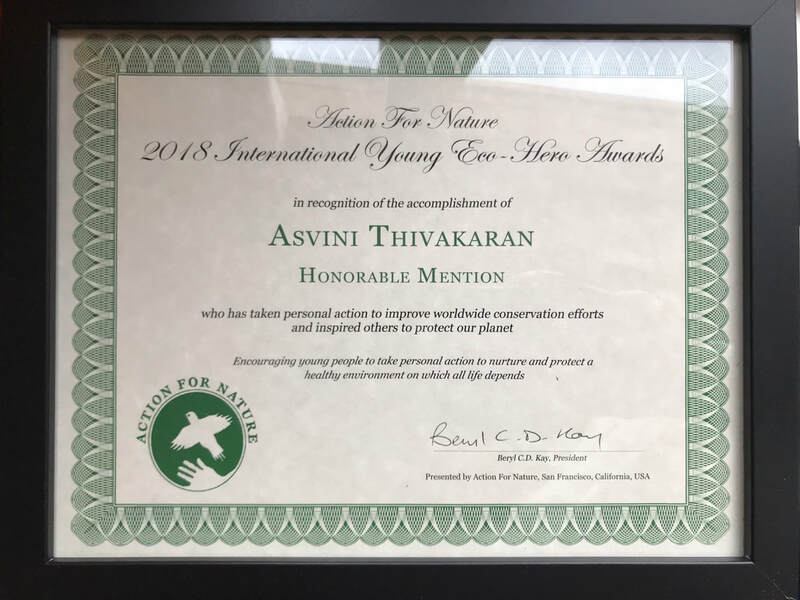 To reduce cutting trees for paper, she placed posters about reduce paper use in the library’s, recreations Centre’s and school’s restrooms next to the hand paper towel bins. 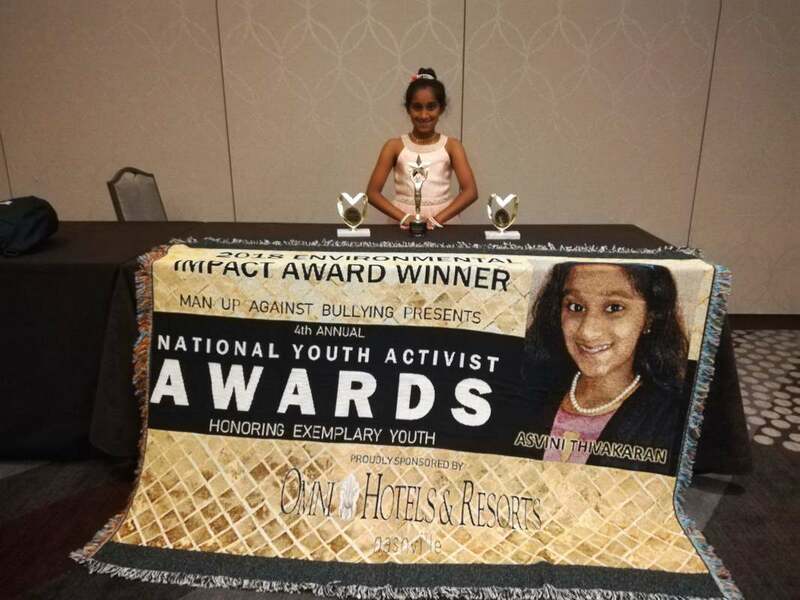 These posters encourage the public specially kids to use with thoughtfulness and raise awareness and create sense of environmental responsibility among them.